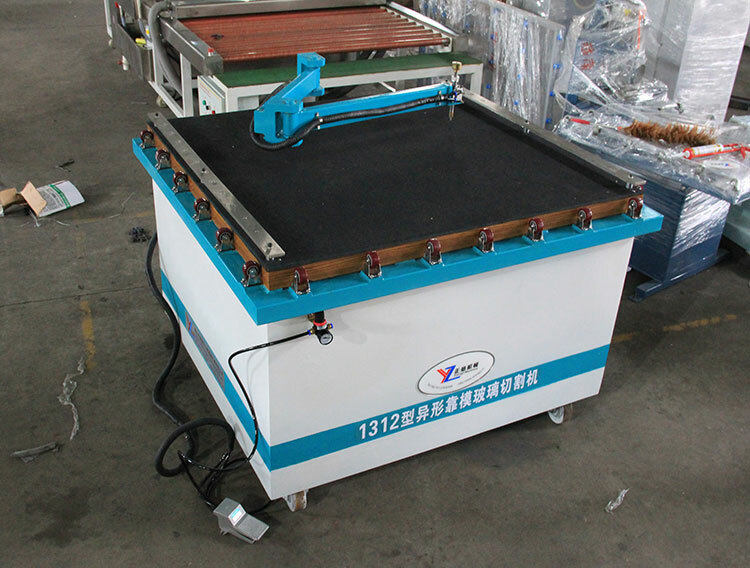 This machine is a very suitable glass slices, cutting, air flotation, snapping all-in-one, equipment can rotate 360 degrees, remote control to move around freely, it can move automatically in the right way, and solve the problem of running deviation on uneven ground; loader can be automatic frequency conversion to be safety and reliable, with power air compressor, no need gas path; The arm cylinder will be controlled by imported vacuum switches, can be directly put the glass in the mesa after loader, no need moved devices, that more safety and reliable, the air volume in gas platform can be adjustable, air volume can be adjusted according to be the glass thickness. 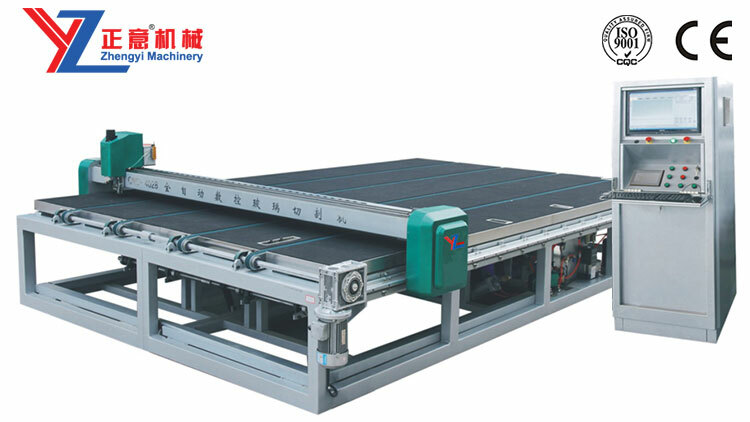 Machine design is can be moved ,it can move everywhere in the workshop, solve the problem of the traditional glass looking for equipment, now the machine is move directly to the front of the arbitrary glass frame to operate. 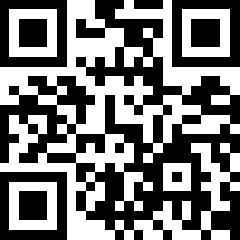 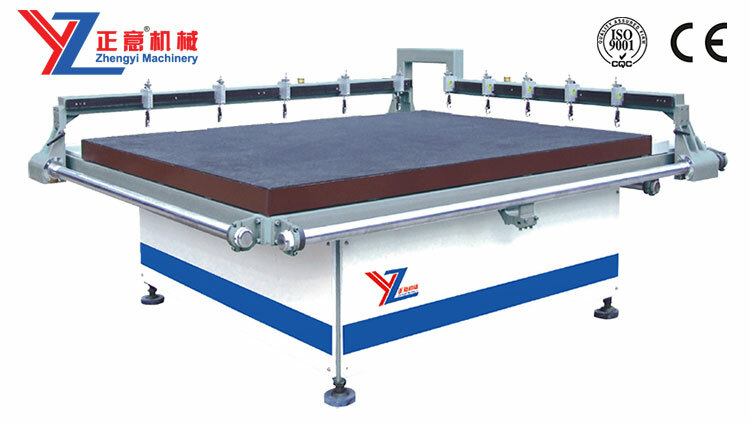 Through wireless remote control device to operation of equipment, effectively avoid the possible injuries and property losses caused by the device itself also has complete electrical protection device design, make the equipment using very simple and safe. 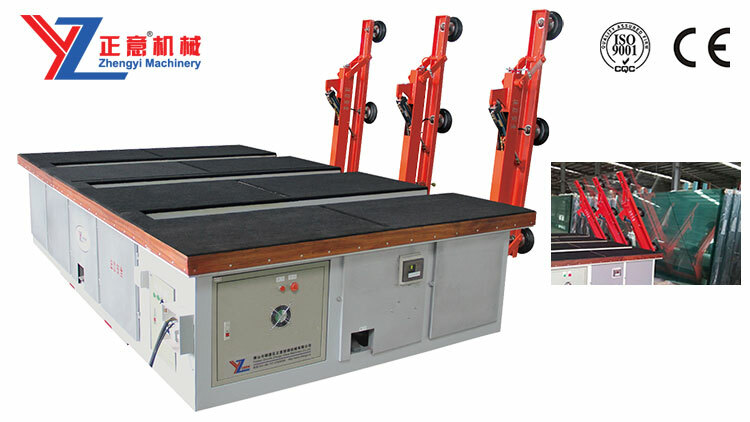 The traditional manual cutting machine needs at least 4 people as a team, if use our machine only one people can finish loading , cutting work, save the manpower cost. 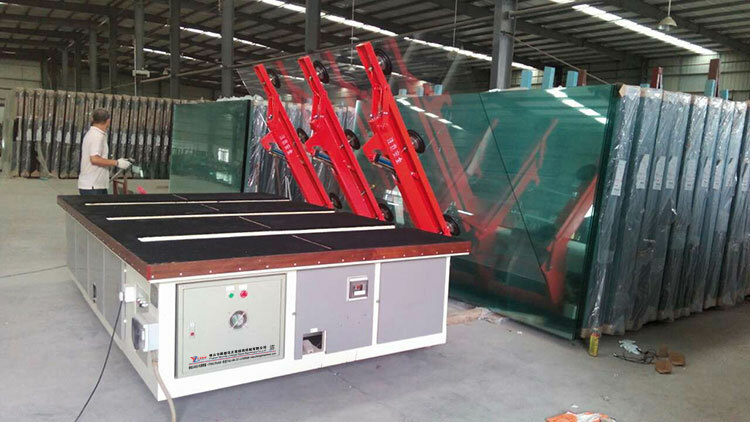 At the same time, because the workers through remote control ,the worker no need to close to the glass , so completely eliminate the safety risks on this link, equipment use of flexible, can adapt to different sizes of glass, a device has the function of multiple devices.